Tourists come from different countries. No matter what nationality you have, you will not surely miss coming to a place and experience nightlife for entertainment purposes. Sometimes, you need to go to a nightclub to have fun, relax, have a drink and meet old or new friends. It is normal to do such activities to release stress and temporarily forget some problems. Now, if you are a tourist coming to Vietnam, you would surely enjoy nightlife because they have various nightclubs and bars to choose from. But, before coming and enjoying the night. You have to make sure that the place is safe. Remember that not everybody speaks English, so you must also consider that there would be some sort of a communication gap. Just be friendly and treat everybody politely. You would surely want to have a great experience spending your night in the clubs around Saigon. Remember that daytime activities are different from night activities. It could have been better if you would enjoy both. You actually have several options. So, you should not miss coming to these bars and clubs, listen to music shows or play casino. 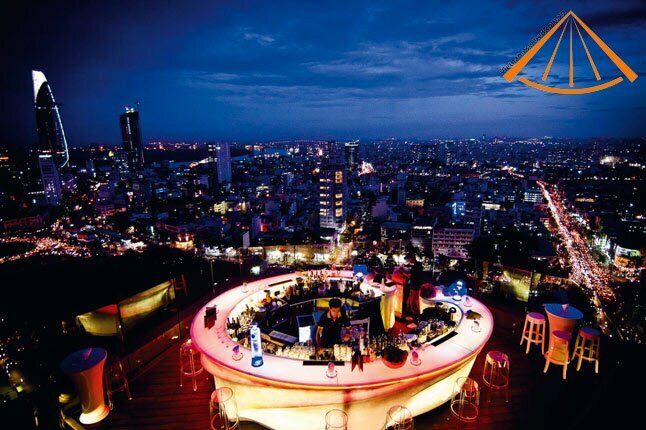 Another bar that you should not miss to visit is the Glow Skybar in District 1 of Saigon. This is open 24 hours a day. It is not just a place for people to have a party and drink. You will surely enjoy the amazing glow and environment. Take photos and have a good view of the city because the bar is situated on the roof top. See more Glow Skybar Saigon here. The Lush Nightclub is one of the premier and favorite clubs in Saigon. It is located in District 1 and open from 8pm to 2am every day. This club was constructed in an industrialized setup with a dance floor and deck. The Apocalypse Now is in the Dong Khoi District and opens every day from 7pm to 4am. It is constructed with a club upstairs. They offer promotions when it comes to drinks and plays various types of music. This nightclub is located in District 4 and opens from Wednesday to Sunday at 6pm to 6am. This nightclub is constructed with a balcony, where you can have a nice view of the city. The MGM Club is located in District 3. They are open every day from 8pm to 2am. This club is constructed in a 4-storey building. People of different ages come and enjoy the party even having coffee on the ground floor or simply enjoy drinking in the lounger bar that is located in the second floor. The Gossip Club of District 1 opens from Monday to Friday at 8:30pm to 3am and then, from Friday to Sunday at 8:30pm to 4am. It is constructed with a dance floor and VIP lounges, too. They also have singers from different nationalities. The Sin Lounge is located at the Lancaster Building’s ground floor in District 1. It is open from Monday to Saturday at 9pm to 3am. You shouldn’t miss the popular restaurant called, the Hard Rock Café. You will surely enjoy the music here because this café is famous all over the world. It is in the Sax n’ Art Jazz Club, where you may also witness performances from various musicians. You can find this club in District 1. You might be paying for a charge, but do not forget to have your free drink. Tourist would surely not want to miss coming to the famous Opera House of Saigon. It is located in the city center of the Ho Chi Minh City. Here, you will enjoy watching the live performances in the Opera House. Those are the clubs that you may visit while traveling to the Ho Chi Minh City. Now, if you can’t find much time to go to the clubs, then you may join the local and foreign people drinking along the streets of the Ho Chi Minh City. Always remember to drink moderately and always do the right things when you are out at night.